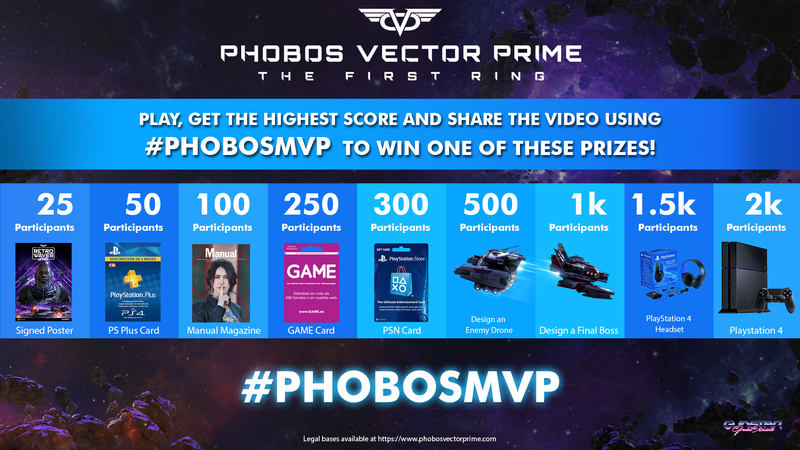 Are you ready to prove that you are the best playing Phobos Vector Prime? Upload a video playing and showing your score and if it is the highest you will get one of these incredible prizes. 1.- Play Retro Waves mode and get the highest score you can. 2.- Record the last minute of the run, including the scoring screen, and upload it to Twitter or Facebook using the hashtag #PhobosMVP. 3.- If you get the highest score, the prize is yours! This tournament will work as a season pass, that is, each time we reach a milestone of participants we will give a prize for the best score. The more participants the better the prize will be! So share this tournament with your friends, encourage them to play and show that you can beat them.